Do you need multiple microphones to record an acoustic guitar properly? No. All you need is one microphone, provided it is the correct type and pointed at the correct part of the guitar. Anyone who records acoustic guitars knows that using an acoustic-electric is a bad idea (you might want to read that before reading the rest of this so you know what guitar you should use). The proper way to get a good acoustic sound is by using a microphone. Most who have never recorded an acoustic guitar before with a microphone will assume that you're supposed to point the mic at the guitar's sound hole. The sound you will record from pointing a mic there will be awful for three reasons. First, the plucking or picking noise will be too loud. With finger plucking, the rubbing noise from the fingers on the strings will be heard loudly whether steel or nylon strings are used, and with picking the pick strike noise will be heard loudly. Second, because the picking hand travels over the sound hole while strumming, what the mic will pick up from that will be an "in-and-out" sound from the guitar. Third, little of the acoustic's body resonance will be picked up by the mic because it will be overpowered by the sound from the sound hole. Pointing the microphone at the 12th fret is an ideal position for recording an acoustic guitar with a single microphone. Plucking/picking noise is drastically reduced, the in-and-out sound is avoided, and capturing the natural body resonance (as in what your ears hear) of the guitar is dramatically increased. What microphone should you use? You can't just use any microphone but rather one that can stay "focused" where you point it so it picks up more of the guitar instead of the room it's in. There are two generally available microphones that really work well for recording acoustic guitars. I will list the cheaper one first then the more expensive model. 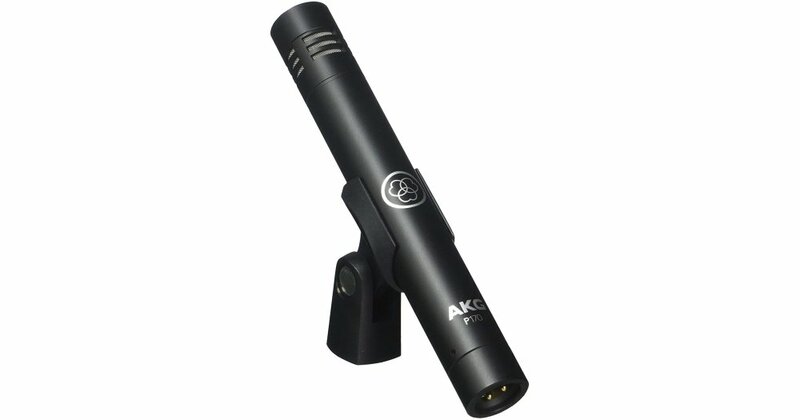 Most people know AKG to have really expensive microphones, but this one is surprisingly lower in price. Don't let the price fool you because it really works nicely. People rave about how good this mic is. The microphone is cheap enough to where if you wanted to get a really nice stereo recording of your acoustic guitar (one mic pointed at 12th fret and the other pointed at you from the side towards the rear strap button), getting a pair of Perception 170 mics would definitely be the way to go about it. This is not a cheap microphone but at the same time not ridiculously expensive either. 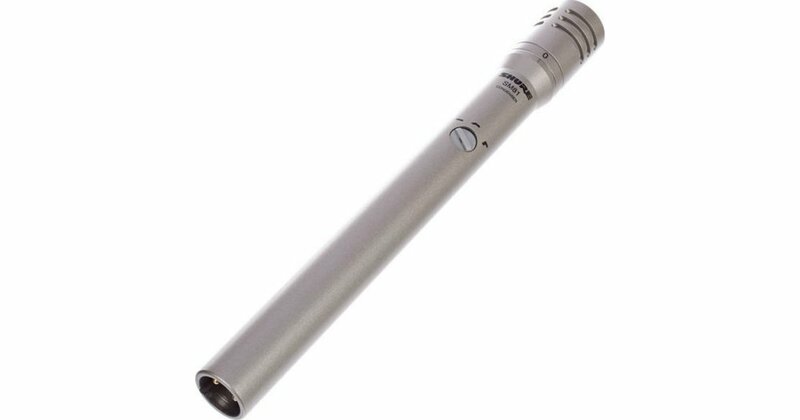 The big deal about this mic is seen in the photo of it above, a 3-position low frequency response switch. Some acoustic guitars get "boomy" with their bass response when recording. If that happens, a quick turn of the switch on the SM81 cures that pretty much instantly, as the switch acts just like a bass roll-off. This is very convenient when recording an acoustic guitar, and I can honestly say that it does justify the SM81's price tag. Both mics are great. The deciding factor on which to get depends on how boomy your acoustic guitar is. Chances are if you have an acoustic guitar with a very big, bold sound, you're very aware of that. If that's the case, get the SM81. Otherwise get the AKG.